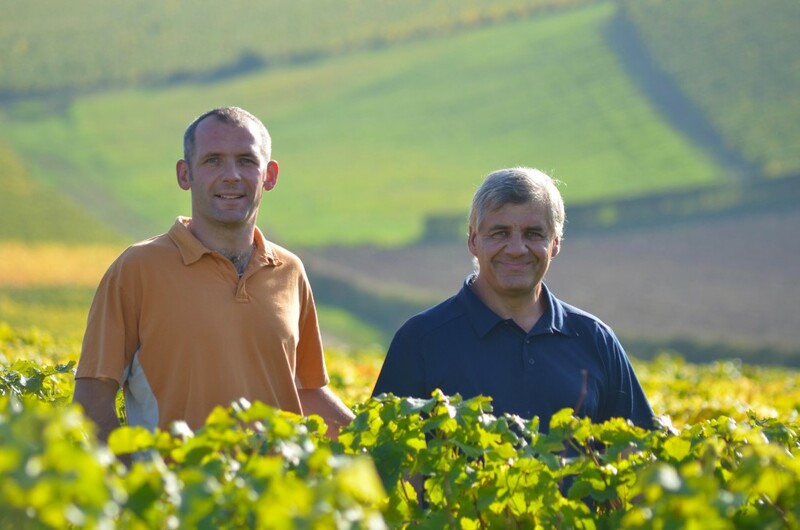 Daniel Reverdy started working at the family domaine in 1979, following in the footsteps of his father. At that time, there were only 2 hectares of vines as Daniel was also a farmer and had fields for goats and cows. 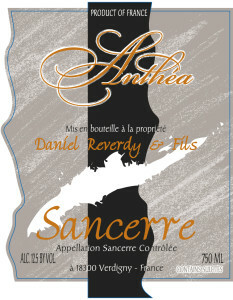 This producer is the first white wine maker we are importing from France that is not based in Burgundy. 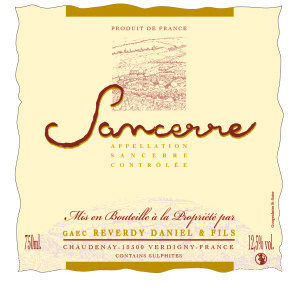 I have always been a big fan of Sancerre; these wines are very food friendly and can be complex and loaded with personality without being overpowering (or super pricey). I had a bottle of this wine at thanksgiving and before I could pour a second glass the bottle was gone. I sent a bottle to Anthony in New York and he enjoyed this lovely white with his wife Lorella at a local restaurant. Anthony described with excitement the vivacious aromatics of the nose jumping out of the glass; Lorella exclaimed “delicious!” and so we bought a pallet. 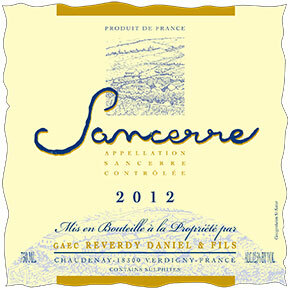 Since 1979, Daniel Reverdy has worked diligently to replant his family’s land and by 2000 he had 7.5 hectares of vines. However, at this time the entire harvest was sold, as juice, to a negociant. This beautiful domaine is situated in the hamlet of Chaudenay, in the commune of Verdigny. 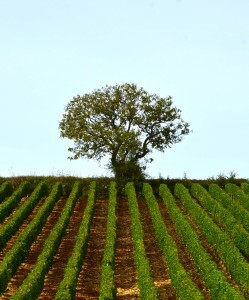 This domaine is truly surrounded by vines – theirs. All of the vineyards used to make the wine are in proximity to the domaine, the furthest vineyard being 2 km away. The year 2000 was an important turning point in the history of the domaine when Cyrille, son of Daniel, came back home after studying wine making for 5 years at the lycée Viticole de Beaune. As you all know, I live and breathe Burgundy. So, it’s interesting that the first non-Burgundy domaine we bring in from France is run by a young man who studied at the famous wine school in Beaune, down the road from me, in the heart of Burgundy. I promise we did not know this when we got the samples. Cyrille returned to his ancestral land from Beaune full of energy and excitement. Together, Daniel and Cyrille created Daniel Reverdy & Fils. Cyrille immediately began work on a wine cave and new winery. Today, the domaine has 9 hectares of vines and more than 80% of the harvest is domaine bottled. We are excited to have this rising star with us and hope to be part of this domaine’s continued success! Fertilzation in Spring; mostly to add nitrogen and magnesium – for the past 5 years the fertilizer used is the one authorized for use in vineyards that are certified organic – a fertilizer that is made from fish excrement. 40 % of the vines is enherbées (allows grass growing between rows of vines) and on this 40% there is no chemical herbicide at all. The other 60% is also worked by hand – some years depending on the climactic conditions there is no treatment, other years this ‘other’ 60% is treated with a minimal amount of chemical herbicide, but mostly an organic-based herbicide. For the harvest; self-empyting bins are used; these bins are specifically designed as to not crush the grapes. The grapes are then sorted and travel on conveyer belt to the fist floor of the winery to be placed in the pneumatic press. The sorting table/conveyor belt and the press are designed to ensure the grapes are not bruised or otherwise handled aggressively. Everything is done to respect the harvest. Afterwards, the grape juice flows by gravity into the winery. The grape juice is left cold (8-10 °C) or 48 hours. Then there is débourbage (separation of the clear juice from the waste generated by the grape skin) The juice is then sent into tank where it is launched into alcoholic fermentation by selected yeasts. The alcoholic fermentation lasts about three weeks at low temperature (8-10 °C) to begin the fermentation and 18-19 °C at the end. At the end of the fermentation the tanks are filled and the wine sits on full or total lees; instead of “fine lees” it’s important to note that there is no racking at the end of the fermentation. The lees are stirred for about 2 months – about every 10 days; this is to give the wine a little weight or volume. The wines are ‘sur lie’ for about 6 months and then the wines are racked; lightly filtered and then bottled.